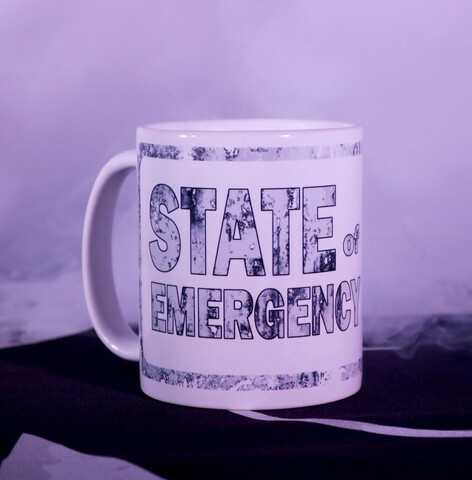 White porcelaine mugs printed with State of Emergency logo. High quality and durable print. White porcelaine mugs printed with State of Emergency logo. High quality and durable print. Enjoy your beverages with style.